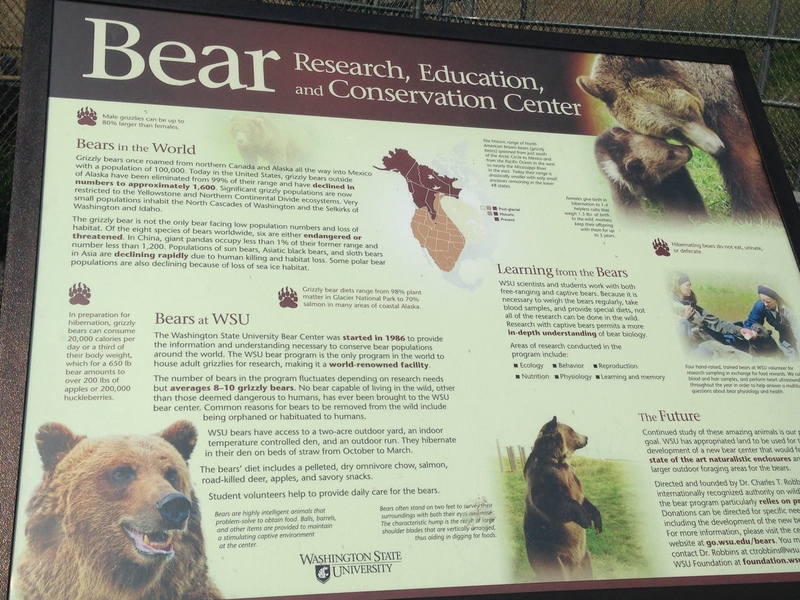 Washington State University in Pullman has a Bear Research, Education and Conservation Center that I finally got to visit when I dropped dear daughter off for her next year of college. 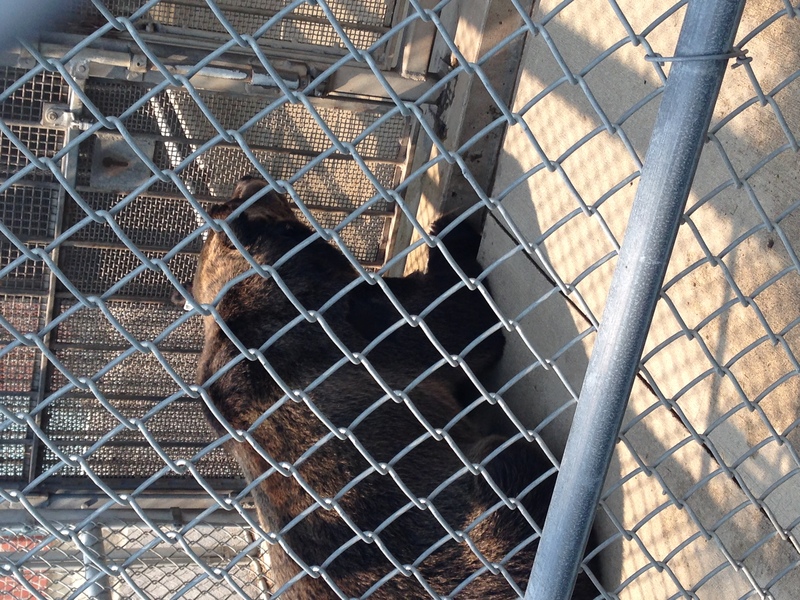 We got to see five (maybe six) grizzly bears in their enclosures. I was hoping to see them in their larger, outdoor area (and it would have made for a better photo), but not this time. Bears that are capable of living in the wild are not situated at the center. It was a real treat to see the bears at such a close range and I couldn’t help but to notice that other people would stop by the center to spend a little time with them. More information can be found here. This entry was posted in Non Profits, Pullman, Schools, WA State - Whitman County and tagged and Conservation Center, bear, cages, education, grizzlies, grizzly, Pullman, research, Washington State University, WSU, WSU Bear Research on August 11, 2014 by admin.